Following on from our feature on one of our Danish Handi Quilter HQ18 Avante customers, we're now focusing on someone a little closer to home - Valerie Huggins from London. Valerie had her Avante installed by Alan, our engineer, at her Studio in Cable Street, East London. 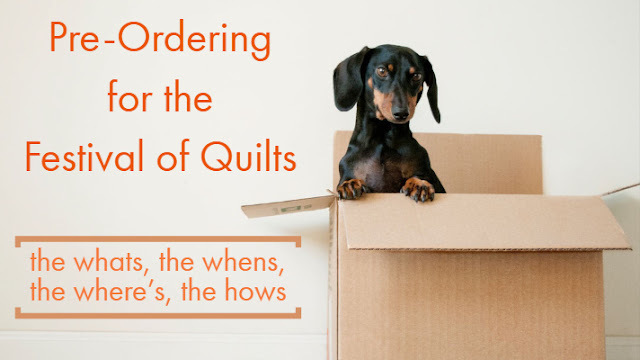 Her website and blog showcase her quilts which are available to purchase. Val does commissions as well as offers collections off the shelf or bespoke to the size you require. My individually designed and handmade quilted throws are the products of a long-standing passion for textiles. In the traditions of quiltmaking, I select armfuls of fabrics, both patterned and plain, as my “palette”. But with the emphasis on contemporary style, I mix graphic, geometric and floral designs with strong colours in exciting, sometimes surprising combinations to complement the modern interior. More recently she's discovered the benefit of the Groovy Boards on the HQ18 Avante which give great results for circles or squares - both spirals and concentric. 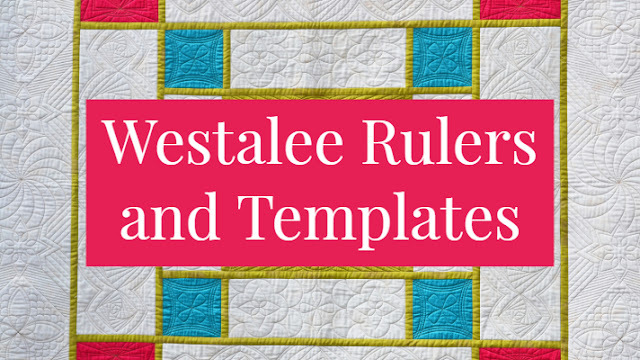 These templates, which are used through a stylus controlled at the rear of the machine, repeat the circle or square precisely on the quilt top and are perfect for emphasising certain aspects of the design or fabric, drawing the eye in or creating movement within the quilt. This is a great example where the quilting design has really enhanced and altered the look of a quilt. It creates a really Modern Quilting look. Valerie also has a blog which is well worth subscribing to. The link currently goes to a write-up of the Kaffe Fassett exhibition which is on until June 2013. Visit Valerie Huggins' Blog here. If you're thinking about purchasing a Handi Quilter then seeing how others are using it and the kind of work that they are doing is key to making the right choice. Our machines are all EU certified and are despatched from our UK warehouse. Valerie took up the option to have her HQ18 Avante installed by Alan, our engineer. We offer training and quilt retreats with experienced teachers and Handi Quilter educators to ensure that you get full use of your investment. 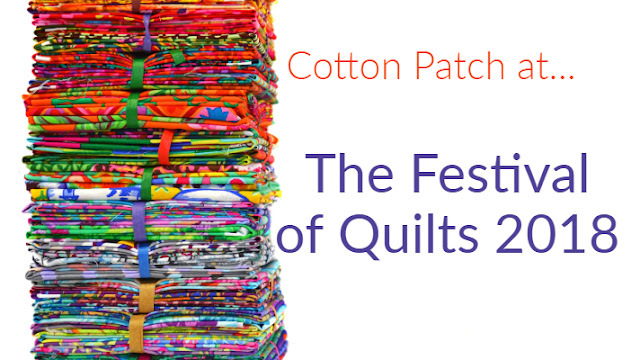 To find out more visit our website or call us on 0121 702 2840 to find out more or to book an appointment at The Cotton Patch Quilt Studio. 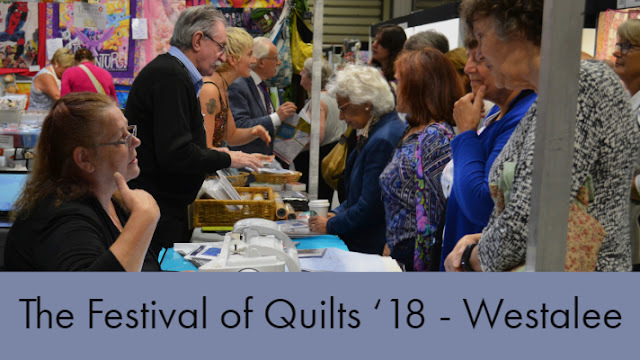 To see the Handi Quilter HQ18 Avante and Sweet Sixteen in action visit us at one of the shows that we're attending this year. We'll be demonstrating at the following shows. Make a date in your diary!